Mumbai 12 January 2017: After the tremendous success of Turkish shows in India, Zindagi, the No. 1 Premium Entertainment Channel gears up to introduce a new territory – Ukraine to Indian viewers. It’s a country known for its masterly structured monuments, historically significant cathedrals and lively people. Powered by Patanjali Shishu Care, ‘Snowdrop’, is a specially handpicked Ukrainian blockbuster revenge drama. The show will premiere on 16th January and air every Monday to Saturday at 9 PM. The story is about two stepsisters, Nadya (Marina Dyakonenko) and Irina (Catherine Tyszkiewicz) entrenched in a sibling rivalry that push each other over the edge. This captivating story of love and revenge from the heart of Ukraine will not only enchant viewers with its superlative content but also give the audience an experience of a global palate. Snowdrop premiered and received blockbuster ratings in Ukraine. After its runaway success in Ukraine, the show format was licensed to countries like Mexico, China, Taiwan and Italy. With the introduction of content from Ukraine, Zindagi gives its audience a glimpse into a new cultural setting while still showcasing universal emotions. The show revolves around Nadya, an innocent, good hearted and hard working girl, who gets wrongly framed for an accident. Irina, her beautiful, spoilt and manipulative stepsister and the man that both of them are in love with is Igor. He is the heir to a cosmetics empire. A tragic accident kills Igor’s beloved sister. Igor, who loved Nadya loses all his trust in her after the ill-fated incident. Irina, takes advantage of the situation and convinces Igor to marry her. The drama starts with a very exciting jail break. In first episode, Nadya will be seen escaping prison and rushing to a hotel where she confronts Irina as she is getting engaged to Igor. The confrontation ends with the stepsisters handcuffed to each other, falling off a roof. As they fall, Nadya wonders how they came to this juncture in life and remembers her past. The show depicts Nadya’s fight to prove her innocence and get the real culprit punished. Will Nadya get justice? How will Nadya take her revenge? 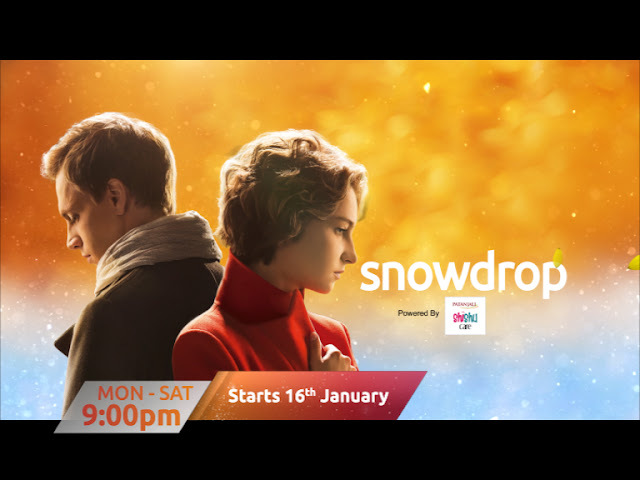 Catch the first Ukrainian Drama – ‘Snowdrop’ that premieres on 16th January at 9 PM only on Zindagi! !